Factory-built body parts and assemblies, pre-painted in any factory color. Expedite body repairs, lower costs. The Volvo Genuine Painted Parts Program expedites repairs and lowers costs by providing quick access to factory-built, pre-painted body parts and assemblies, ready to bolt on and go. 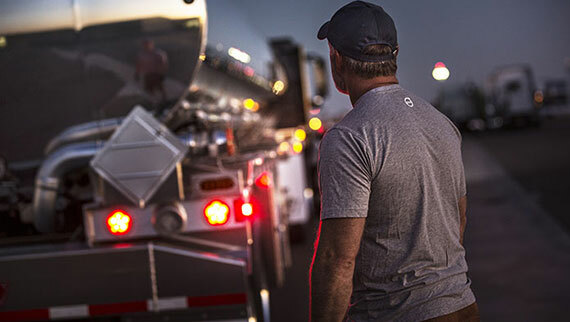 The program backs up Volvo’s foundational commitments to uptime and productivity, getting trucks out of the shop and back on the road, faster and safer using genuine Volvo parts. 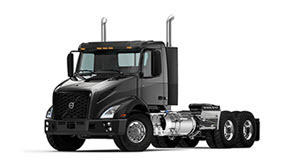 The Genuine Painted Parts Program now offers pre-painted hoods and bumper parts for the vehicle that’s been called “The shape of trucks to come.” Pre-painted tow-hook covers and bumper end caps are available as an add-on option with the purchase of any VNL hood. 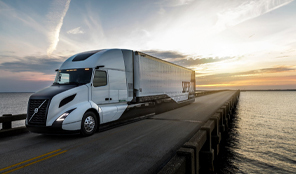 As with all Genuine Painted Parts offerings, new VNL hoods and bumper parts feature factory-quality paint, custom matched to the original vehicle color. 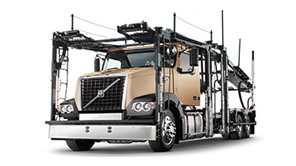 Volvo offers the VNL hood in both Standard (SWO) and Large (LWO) Wheel Opening configurations. The hood mounting hardware is included at no extra cost. 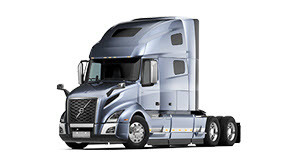 With your VNL hood order, you have the option to add a new painted bumper to complete your front end repairs. Available options include both the Classic and Aero style bumpers, with or without lamp openings, for both wheel opening configurations. The add-on bumper option is only available with the purchase of a painted or dressed hood. 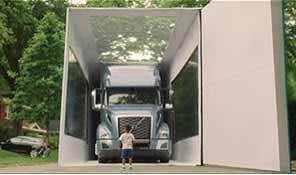 Additional features for legacy VNL model trucks: Painted and sealed cabs, semi-groomed daycabs, fully dressed hoods. 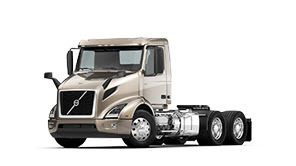 Pre-painted hoods in any factory color are now available for the VNR through the Volvo Genuine Painted Parts Program, with all mounting hardware included at no extra cost. Complete front end repairs are simplified when you add a new painted bumper to your VNR hood order. VNR bumpers include a pre-painted steel center section with composite left and right extensions. Available center section options include most popular configurations. The VNR bumper add-on is only available as an option with the purchase of a VNR painted hood. Pre-painted VNM hoods can be ordered and shipped in as little as two days, dramatically reducing downtime for busy customers. The pre painted, one-piece or three-piece bumper can be added to any hood order. Then all that remains is the finish dressing for your new hood. Additional features for VNM model trucks: Painted and sealed cabs and semi-groomed daycabs. Replacement VNX bumpers from the Genuine Painted Parts program are made from the same high-strength aluminum alloy and covered in the same factory quality, urethane paint for extreme corrosion resistance. Replacement hoods feature the VNX’s specially designed front fender extensions to prevent tire spray when using larger, heavy-haul tires. The Volvo Genuine Painted Parts Bulk Program is a bulk-buy program with a minimum order requirement of 6 pieces with the same paint code. You can mix and match any combination of program-eligible parts to obtain the 6-piece minimum. Bulk parts are also available in any factory color. The bulk painted parts program offers most VNL and VNM bumper pieces as well as cowls, cab extensions, visors, chassis fairings and more. 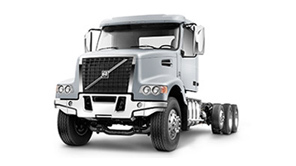 Volvo Genuine Painted Parts Program components are available through your Volvo Trucks dealer. Contact your dealer or Parts Manager for more information. Can’t find your color? You can always use P3029 for quoting purposes, and let your Parts Manager know what color you need loaded and we will get it loaded within one business day of your request.